Edwin Rutsch is the founding director of the Center for Building a Culture of Empathy and the founder of the International Empathy Trainers Association. The Center’s website is the internet’s most comprehensive portal for empathy-related material, including interviews with over 300 experts on the topic. Edwin started the Empathy Tent, a group that goes to political conflict events to offer listening and mediation. He is a world traveler, a “seeker,” a documentary filmmaker and has worked in the computer technology field. In his travels, he has interacted with a wide variety of cultures and peoples from all walks of life and learned to see and feel the common humanity of all people on the planet. 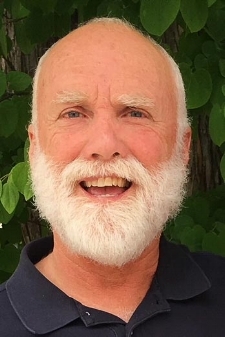 Lou Zweier is a teacher and filmmaker working in the areas of conflict resolution and relationships, leadership, and personal transformation. Cielja Kieft has been in search of Peaceful Living for as long as she can remember.After she read the Medea in Theatre College, she was devastated. She realized that this play was written by Greek writer Euripides in431 B.C. and that “we still love playing, watching and applauding the same devastating emotions of jealousy and revenge: have we not learned anything about dealing with emotions for 2000 years?”Cielja was determined to find the keys for working with emotions to help people make a difference in their lives. Empathic Awareness. Empathic Listening and Empathic Communication are the keys. Cielja has been a Theatre Director and run her own theatre company. She is certified in Leader, Parent and Teacher Effectiveness Training; in World Class Marriage and in Sociocratic Management. She was co-founder of the Guus Kieft School, a Free School in Holland among many other initiatives. Her main focus, the PET was her most beloved training for over 27 years, before she created her own Empathic Communication Academy. Discovering The Center for Building A Culture of Empathy was a delight.Inspired by the Empathy Tent Cielja set up her Empathy Tent during Art-Walk in Norman, Oklahoma, and has it now as a monthly ongoing event! Geologists label our era the Anthropocene, a period during which human activity is the dominant influence on climate and the environment.The pace of change is accelerating. We’re all already interconnected in unprecedented ways. At a species level, our neural circuitry is being rewired by the internet. In some sense we already function as one. The problems we face are truly global. Us v. Them solutions that may have worked in the past are insufficient for our times, and with the kind of weaponry at our disposal, could easily lead to our self destruction. The not so hidden secret to our indomitable success is that we’re capable of extreme collaboration. We now need to use the collaborative side of our nature to transform how we deal with conflict among ourselves. Empathy is the first step in that direction. 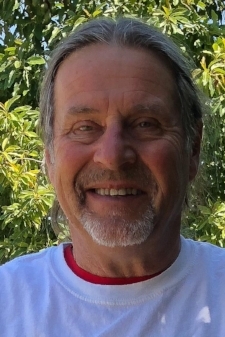 Dave Gottfried lives in Berkeley and is a private investor and artist. Bob Brown toiled at three careers – California wine business, Episcopal priest, and teaching in a public high school. He bicycled across the United States in 1976 and summited Mt. Whitney in 2017. He is now a pilgrim on the journey to human wholeness. Empathy is a virtue vital to the journey. Bob lives in Thousand Oaks, CA. As I’ve sat around watching our political process utterly distort the issues and challenges facing us today, I asked myself if there was a better way we could communicate and come to some sort of rational consensus that would allow us to move forward. For 37 yrs. I’ve been a teacher of emotionally challenged students. The issues that I’ve had to deal with are a microcosm of the major problems in our society, addiction, abuse, disabilities, and so on. To overcome those challenges, I’ve had to rely on the bravery, dedication and strengths of my peers, my students, their families and myself. The politics of the families and staff range all over the political spectrum. I am happy to report that all of us, regardless of political affiliation, have reserves of strength that would surprise you. I joined the Empathy Tent because I think that truly listening to each other will build the feeling of community and cohesion that we need to successfully confront the challenges that we face. My experience in practicing with listening circles has given me new faith in my fellow humans and their struggles. I urge all to try participating in one of our reflective listening exercises and see if you don’t feel closer to that sense of community.